Happy Holidays from us here at Califer Games! 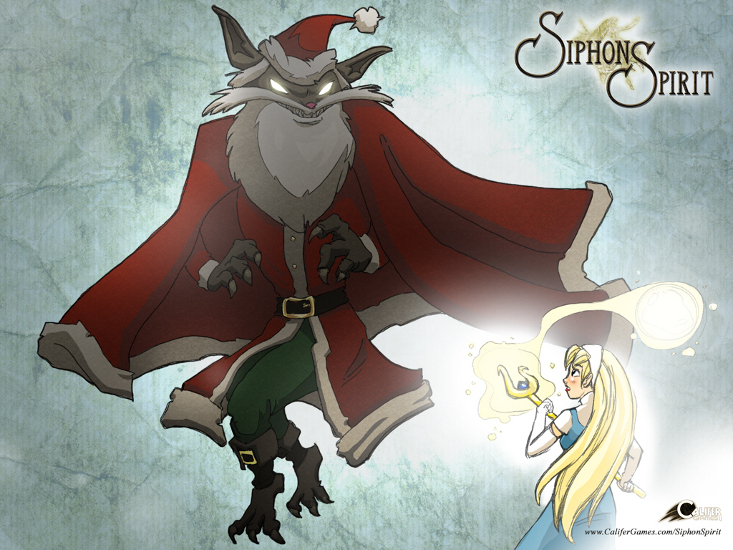 Peter's whipped up a nice wallpaper of Miranda from Siphon Spirit fighting off a festive demon. There's a bunch of different sizes for it at the media page, so head on over and get the size you want! Other wallpapers are also available for those not in a holiday mood.